Eleven Rack is designed to slot into your studio and stage setups. Digidesign is set to announce Eleven Rack, a new Pro Tools system that also functions as a standalone guitar amp/effects processor. The company previously launched the Eleven software, an amp/effects emulating plug-in, but this new product appears to put the same technology into a 2U rack-mountable DSP-accelerated piece of hardware. This also serves as an audio interface for the supplied Pro Tools LE software. 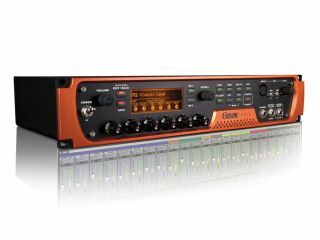 What this means is that the Eleven Rack hardware can be used both as a standalone guitar processor when you're on stage and a front-end for recording when you're in the studio. It looks like Digidesign will officially announce the product later today (we'll bring you full specs in due course) but some retailers are already listing it as 'in stock'. It looks like it'll cost $899.